You’ve heard all about our sense of humour and how it keeps us all going during the day. Days at an office can be mundane when you’re ploughing through admin so we do like to make work as fun as possible. On a day like today after the long bank holiday weekend we all need cheering up! A very unexpected response that made us all giggle! Which one do you reckon we sent them? 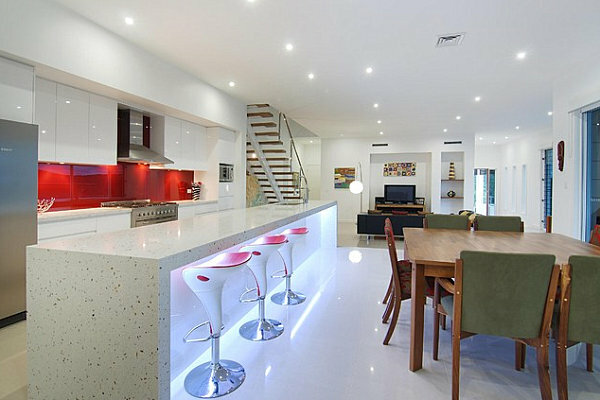 LED lighting is being employed more and more in the home and not just to replace spotlights. Interior designers are increasingly working with them as they offer more flexibility with the vast range of colours available. Fairly common now in retail and commercial use LEDs are finding their way into our homes and gardens up and down the country. 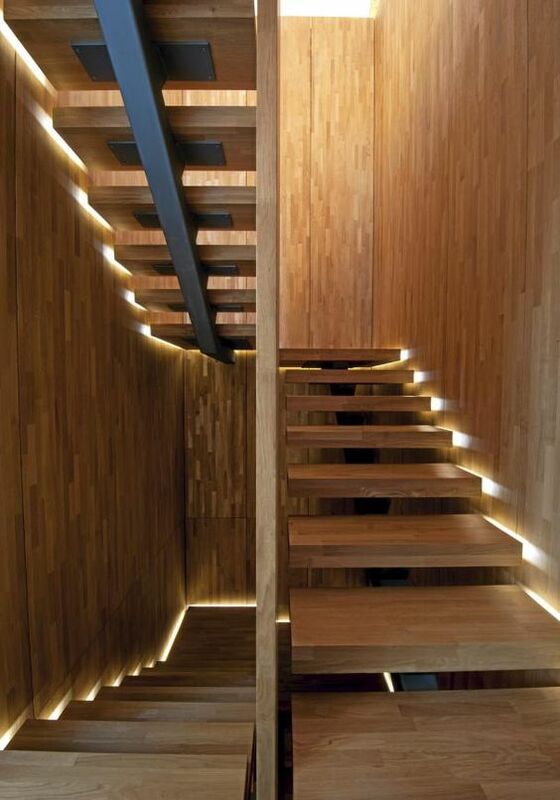 There are countless online examples of how effective they are in illuminating our spaces. Cost was always an issue in the past however prices have come down in recent years whilst the savings they make in the long run are now widely accepted. You can even use an app on your phone to turn lights on or off so you need never fear they are burning up energy if you’ve had to leave in a hurry. 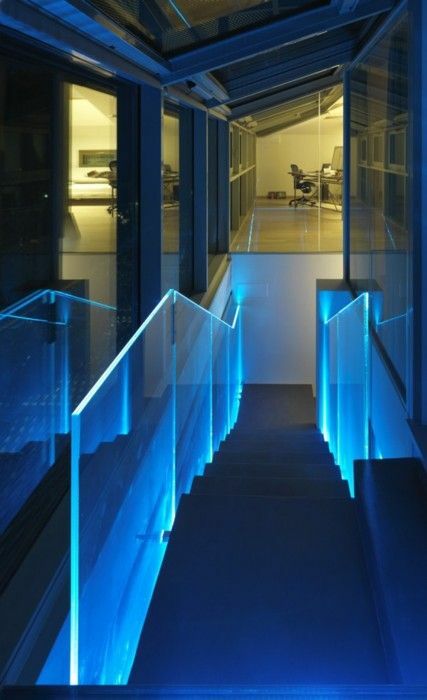 Software can also be used to create a different mood in any room by switching colours or highlighting a particular corner of a room to light a wall or staircase. 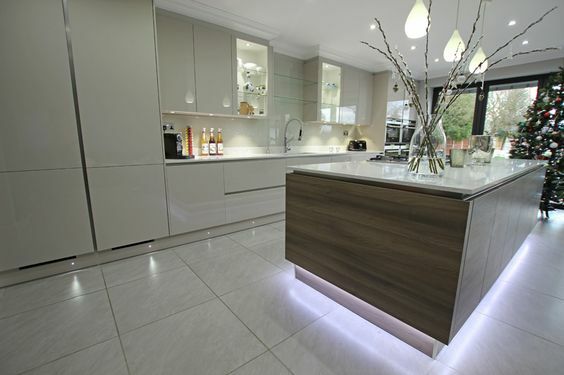 They really come into their own in a kitchen lighting your worktops or an island from the ground up. First introduced in 1962 by the American Nick Holonyak LEDs are now the eco friendly choice for Architects and Designers. Not just for inside the home they are perfect for lighting your garden. 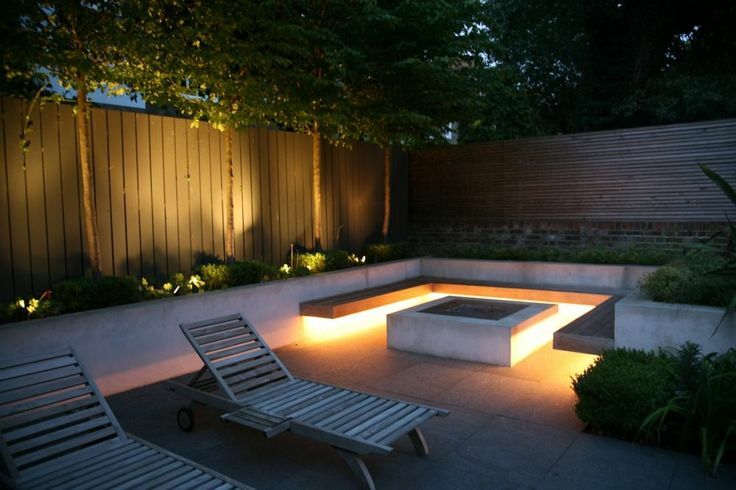 Once dark or dully lit gardens now come into their own after dark as you can see in the photos below. 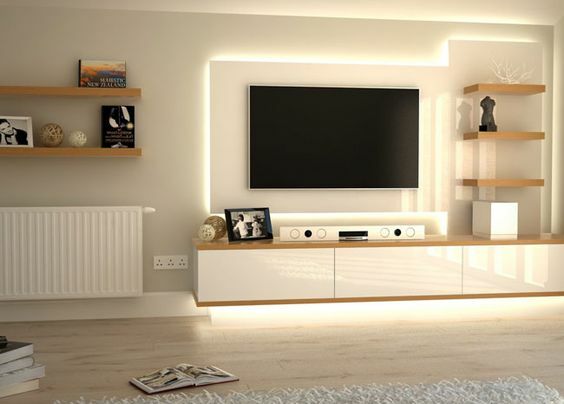 We offer an installation and supply service which you can check out here. Heals employed us to install the lighting in their flagship shop in Totteham Court Road as you can see in the photo below. 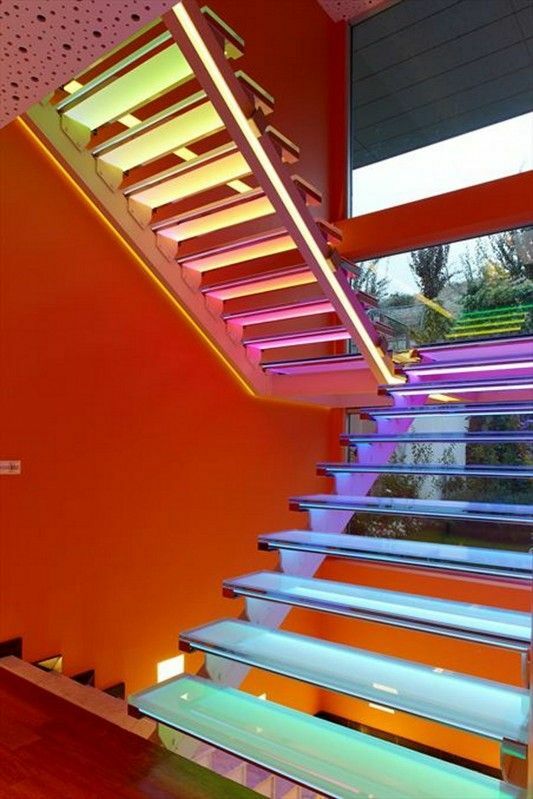 We’re pretty passionate about LEDs here at Stock In Trade so do give us a call if you’d like to know more about how we can help with your project. Now you’ve met our key members of staff, it is time to reveal their Lies. Tricksters that they are! “I cycled from London to south of France via Newhaven once, but despite living in Brighton for over 20 years I’ve never cycled the London to Brighton”. “I’m not ¼ Kenyan, but I do have family from Africa, though I’ve never met them”. “The gonads were buffed to a high lustre during my time at Hull University, but not by me”. Interestingly the rest of the office were quite suprised by this admission of Paul’s! Our final introduction to you is Paul Murray our Technical Director. As Technical Director he’s responsible for keeping all the information the company needs safe, accurate and available. It’s a fairly wide ranging job involving software design and development, network, database and telecoms management. His preference is for a pint of Real Ale but sadly our HQ is in a bit of a desert for pubs let alone decent ones. If his evening is not too punishing and the weather nice there is somewhere within walking distance that usually serves decent vittles but he usually ends up ordering in food and pops to the corner shop for something to wash it down with. Usually evenings go smoothly and he can get his head down at some point, dozing off to some comedy on the radio. He says the combination of Radio 4 Extra and the BBC iPlayer Radio have transformed his listening habits…’It’s wonderful to have such a huge resource at ones fingertips. Or should that be ears’. If you haven’t come across these two radio stations before Paul can’t recommend them highly enough. As you may have gathered Paul also has a knack for keeping us all amused in the office with his great sense of humour, funny T shirts and tales of his life in Suffolk with his three children (including twins!). • I have made over 50 blood donations. • As a student I was arrested for polishing the horse’s testicles of a tarnished brass statue in Hull. • I was a fireman in a West End theatre. The Naked Chef has nothing on Paul!! Rupen Joshi is our Warehouse Manager. Each and every product that passes through our warehouse is managed by Rupen. More often than not it can be quite physically demanding work so he feels pretty justified in rewarding himself playing darts in the office every couple of hours instead of a tea break! Its a little hobby he’s kept from his childhood days when he could often be found practicing in his room after homework, a little treat for all his hard work. The extra practice in the office comes in handy when he and his friends get together of an evening for a mini tournament An event they take very seriously indeed! I’ve driven illegally in America.